Yields have been lower than expected for many of the first harvested fields. The swath looked like a 35 bushel crop, but it yielded 25, for example. Heat during flowering and lack of rainfall may explain a large percentage of the unexpected loss. 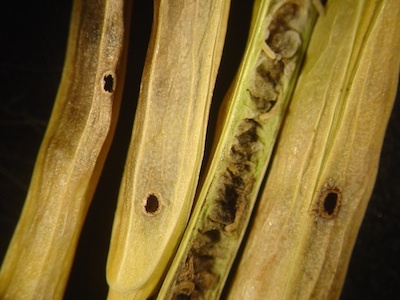 Disease and insect damage are also factors — large factors for some fields. 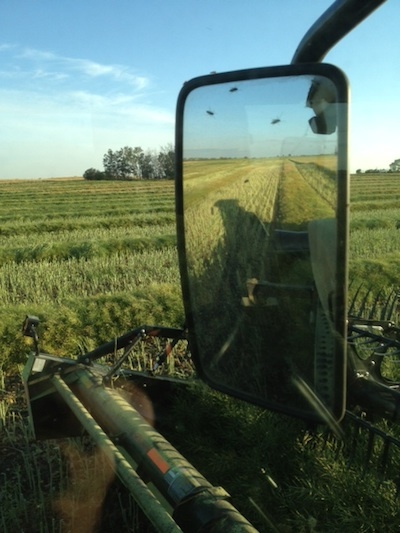 Growers may have to delay swathing or opt for straight combining on fields where not enough time has passed to allow for insecticide pre-harvest intervals. Canola yielded lower than expected. Why? Growers and agronomists may be able to find clues to explain lower yields by looking at the plants, pods and seeds. Did the pods form? Did pods fill properly? Are seeds there but small or shriveled? Read more to see what these may mean, and what can be done to reduce these losses next year. 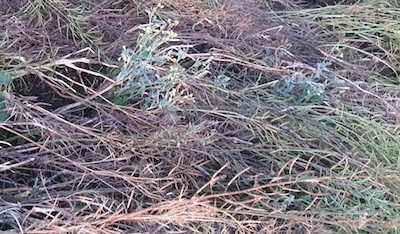 When doing their own disease surveys, growers may find it easier to check crops while swathing. Stop at five random spots in the field while swathing and check 20 standing plants at each spot. This will give you a good idea how much of the field actually had sclerotinia or blackleg or clubroot, for example. Many canola crops are maturing earlier than expected this year, in many cases due to hot weather. This has put some growers in a bind. They had sprayed insecticide expecting to be outside the pre-harvest interval (PHI) required between application and the planned cutting date, but now as the crop approaches swathing timing they realize that not enough time has passed. It is important that growers follow the PHI for all products, otherwise harvested seed could exceed pesticide residue limits for key markets. Samples from all grower deliveries are saved, so any infraction can be traced back. So what to do? 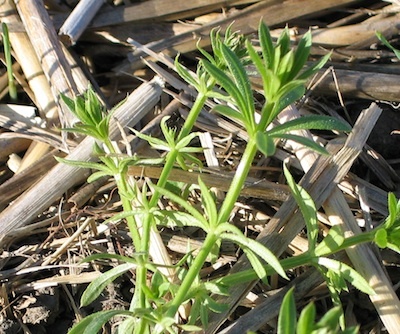 Fall weed control is an effective way to clean up cereal fields for canola next year, especially if cleavers, narrow-leaved hawk’s beard, dandelions and other tough weeds are present and actively growing. Be sure to use a herbicide that can be applied ahead of canola. 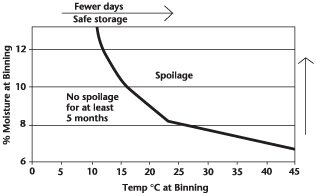 Even if canola is very dry, storage experts still recommend that hot canola be put on aeration for cooling. There will still be convection currents and some moisture movement within the bin, which can concentrate moisture at the bottom of the central core — creating a possible start point for heating. —Swath parallel to the typical prevailing winds in the area. —Cut the plants as high as possible, just below the lowest pod. —Using a properly adjusted swath roller, push down the swath so that the edges are nestled into the stubble. 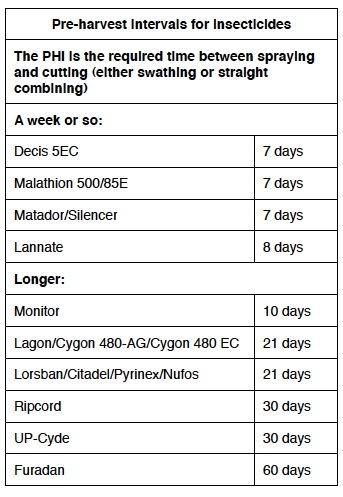 Because the swath will be on or close to the ground, curing and/or dry down time may take longer.